milestone | I'm not stalking you. Actually, as of me writing this, it has reached 25,097 all-time views! Now, I realize that this is peanuts compared to some other blogs. But considering I have not done anything big to specifically increase my followers up to this point (My blog does have Facebook, Twitter, YouTube, and Twubs pages, but I have never blog-hopped…yet) except for trying to post regularly, I am pretty happy about that number. Thank you everyone who reads every new post I write, and also all the people who just happen to Google “Homefront”, “Barret Oliver”, or “boxelder bugs” and end up here. Here is to 25,000 more! Posted in What I Learned This Week and tagged 25000, accomplishment, achievement, Barret Oliver, blog, boxelder bug, celebrate, Homefront, milestone, stats, views. Bookmark the permalink. I didn’t think I had this much to say! 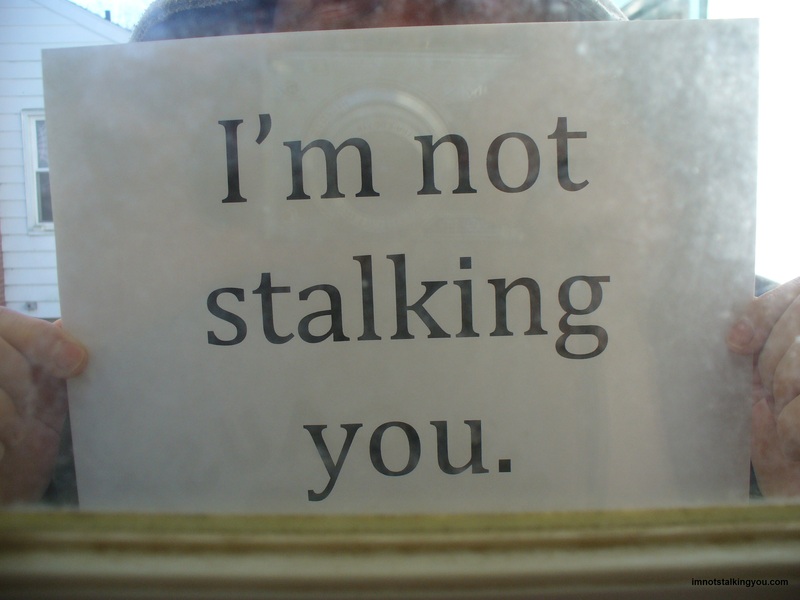 Hey Stalker! Clean the dirty window while you are out there, would ya? I can’t believe I have written 200 posts in less than 2 years. I started this blog with just a random post with a survey about driving pet peeves. I had a vague notion that I would write a post about dead dad movies, Punky Brewster, and my two dogs. I have very lofty goals this year, which relate to writing. While I won’t list them here, those who are close enough to me to hold me accountable know what those goals are. And I don’t think I would be able to even attempt them if it wasn’t for the practice and confidence I have gained from these 200 posts. Here is to 200 more! Posted in A day in the life and tagged 200, blog, celebration, goal, imnotstalkingyou.com, milestone, post, writing. Bookmark the permalink.